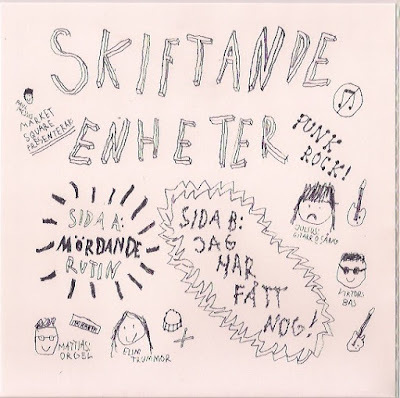 From the back streets of Goteborg, Sweden come a new breed of DIY punks in the form of young four-piece Skiftande Enhenter. Skiftande Enheter consists of Julius on Telecaster Guitar, Viktor on Bass, Mattias on Organ and Elin on Drums. Sweden as a nation has always been on the pulse of ever changing styles and sounds and have always produced home-grown bands which often outshine other groups from around the world but sadly none of these bands ever really get much notice. Here at Market Square I've really loved the music Julius and Co have made and really wanted to release a 7" for them to expose them to more people from around the world. This new 2 sided single consists of two brand new songs written and recorded by the band in late 2017. 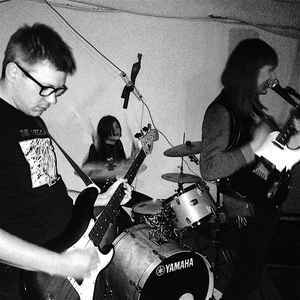 The B-side Jag Har Fått Nog is some of the snottiest punk in Europe continuing in the same attacking style as the A side, this track however slays all squares in its path, Julius lets out one of the most ear-piercing screams committed to record in 2018.
you can also hear both sides of the new 7" here too.